HOWEVER, some people, like many of my patients, have big time issues with weighing themselves daily. The small fluctuations in weight can cause a lot of frustration. Obsessing over the stupid number on the scale can cause all sorts of mental havoc, resulting in stress and anxiety. They understand daily fluctuations happen. Water/hydration status can make for a couple pounds difference each day. Weighing yourself first thing in the morning after peeing is a good idea. Understanding that menstrual cycles, recent food intake, recent bowel movements, etc. can have an impact. They follow the trend instead of the fluctuations. See the above graph (crude I know… I drew it). 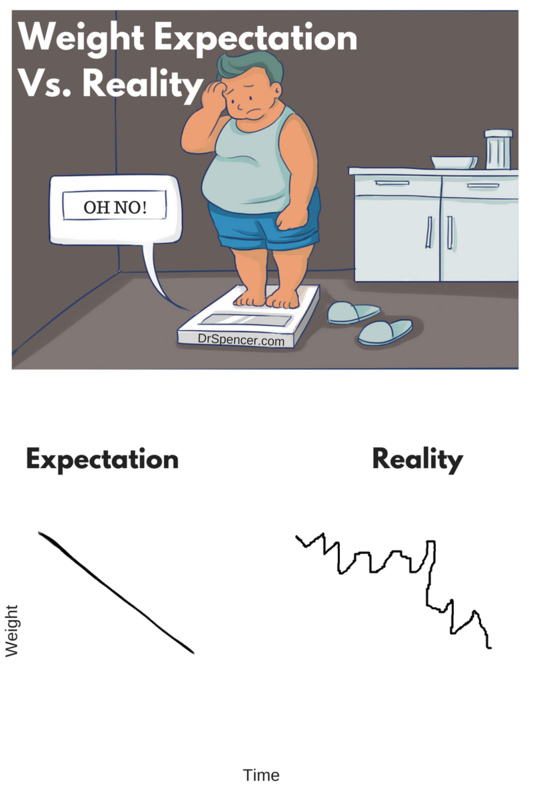 Weight loss rarely happens in a straight line. You will have drops then plateaus then gains then plateaus then drops etc. It can be super frustrating if you obsess over it. An app called Happy Scale can even smooth out the fluctuations into a nice graph for you. They don’t live and die by the scale number only. The scale number becomes the holy grail of outcomes in many and this is a mistake. 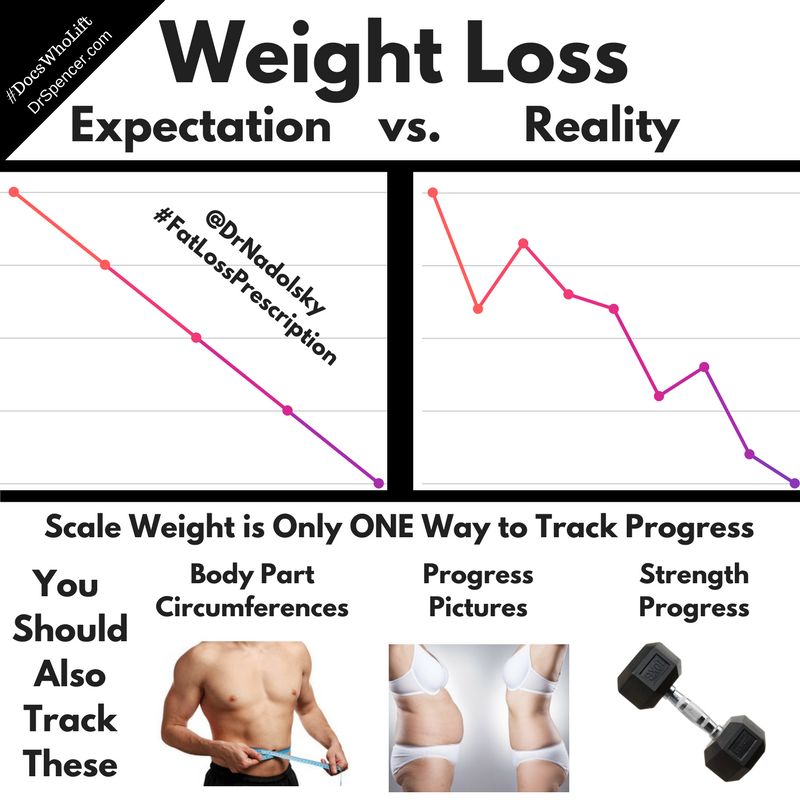 Sure it is a great point of reference, but you will want to measure things like waist circumference, how clothes fit, your blood markers, how you feel, maybe how you look in pictures, your actual body fat percentage etc. 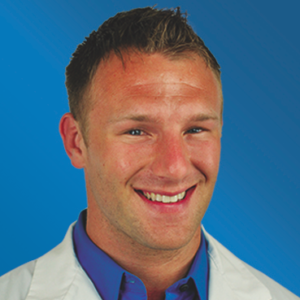 I have many patients who don’t lose many pounds in a month, but their waist is smaller and their clothes don’t fit them anymore. If you go by only the scale you will miss these things. If you’re trying these things and still have troubles with an obsession over the scale then just ditch it and go by some of those other methods I listed above. Some people get wifi scales and block the readout so they can’t see the weight and just let it record. They can then check every week or so. Scale obsession and fear is real. I hope this helps you overcome your fear! If you’re just frustrated with your weight despite all of this, sign up for my free course (see below) so I can help you!